As you know, I am adding gamepad support in 2.1. This is to allow multiple players to play the game on a single device. This of course works best on a PC, but a fast 10″ tablet is quite playable too if you prop it against something and have two bluetooth gamepads paired with it. Or better mirror the screen to a large TV. Left Trigger + A is equivalent to Shift + Click on an inventory item. It will automatically move the item to a suitable slot in the other inventory (e.g. chest). iOS gamepads do not have thumbstick buttons or start/back buttons (they only have a single pause button in the middle of the controller), that’s why these functions are duplicated to D-Pad up and down. In general I found that the quality of bluetooth gamepads for phones/tablets is pretty dire. I have two of them that I use for testing: ipega 9021 (for Android) and MadCatz Micro (for iOS). Ipega 9021 for Android. Horrible, horrible deadzone implementation. You need to move the sticks almost half the way to the edge before any movement is registered. Then it suddenly reaches 100% way before the stick is actually at the edge. Avoid. Mad Catz Micro for iOS. Slightly better deadzone than Ipega, but buttons frequently skip clicks, so you have to mash them hard to be sure they will register. Avoid. On the other hand, Xbox 360 gamepads that I use on Windows (you can also pair them to Android device if you have an OTG cable, but they will sadly not work in iOS) are brilliant. Playing with them is almost as nice as using mouse and keyboard. Xbox 360 controller. A fantastic piece of kit. Precise thumbsticks, perfectly working buttons. Puts all the bluetooth garbage gamepads to shame. I suspect Playstation or nVidia Shield gamepads are just as good as Xbox ones. Anyway, I don’t know what to recommend to you. Maybe other bluetooth controllers are better than Ipega or Mad Catz. Although I suspect they are all dodgy. This entry was written by Kaalus, posted on June 18, 2017 at 19:52, filed under Uncategorized. Bookmark the permalink. Follow any comments here with the RSS feed for this post. Post a comment or leave a trackback: Trackback URL. I’m getting the xbox one, if you suggest it. I really have no clue of how gamepads work anymore. I just want to play with my brother comfortably. Look at my list at the end of this page. That may help you more. Just don’t buy the Xbox/win10 Spectra Illuminated controller. You’ll waste money on it as the R2 button ALWAYS breaks. Thanks, but where is this list you’re talking about? I can’t find your comment anywhere on this page. When I say comment I mean list. It’s the 12th comment down from top not including replies. Wait, does this mean that two people can’t play on one tablet without gamepads? Really hoping not, I was looking forward to playing with my siblings on trips without inernet. You can, but it would be easier with gamepads. You don’t need internet to connect gamepads. You can connect them together. And I think he added the ability to play together without controller too as long as Its touchscreen. Since I have both PS3 and PS4 I may try Play Station’s controller and I could test how they would work! Kaalus, won’t OTG on Android work with game pads? Please try it. I don’t want to buy one just to test it. Why not just support keyboard and mouse? OTG keyboard also works. Have you tried it? Then you can use Android just like Windows. It would be great and more comfortable! Good idea! Want to chat with other Survivalcraft Gamers or show off one of your builds to part of the community? Join my discord server https://discord.gg/EGS9ufP . Want to get involved with some pretty awesome builds? Join https://discord.gg/YmJMjVP ! I really like the idea of mirroring to a tv. Really excited! 5th comment! Just got the email notification! There should be the ability to pop out one of the screens as another window, this could be useful when hooked up to a tv or if you have multiple monitors, along with recording a time-lapse or a cinematic video. Kaalus I have checked and OTG game pads do work. That way Xbox controllers should work as well. I know not all Andoid devices work with OTG, but most do. I would still prefer a keyboard and mouse as a controller. Please let that work as well. That way people do not need to buy new hardware, since everybody has these already. Please, the bluetooth controllers are expensive (here in Chile) i guess that you can connect OTG gamepad. 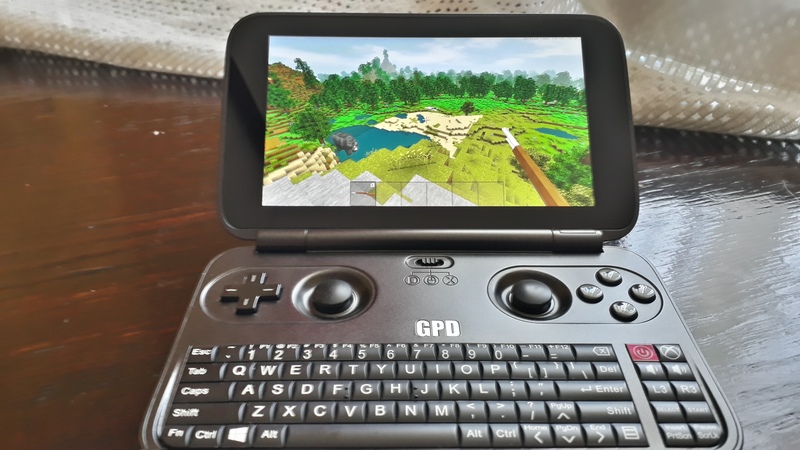 I hope you can assign the buttons for the gamepad, because I have a usb gamepad and in minecraft I had to assign the buttons to work correctly. If you want a Bluetooth controller I find the SteelSeries Stratus a good controller for both phone and computer. -Don’t need external app for mobile phones. -Connectivity is continuous. No disconnectivitu lag. -Can’t change sensitivity on phones/tablets. Moga pro power is also another good controller bluetooth. But it’s only for mobile and needs an external app to connect. -Charges your phone will playing. But not while your charging the controller. -Slight but not noticeable connectivity lag spikes. -Sometimes have to connect manually. Any wired Xbox/win10 controllers work but DO NOT buy the illuminated controller. This is your last warning. Why? Bc the R2 button ALWAYS breaks I bought 3 and two of them had the r2 button break. The third one I never use anymore. Kaalus can we change the layout of the buttons? Bc I like my R2 button to attack and break blocks and my L2 button to Place blocks. Yep, the R2 must break/attack and L2 must place/mount/use. This is how sandbox games use controls, if it’s not changed then we will dislike this. Changing control layout would solve. Did I really read “drag items”? Another thing: Please use the name you use here, so that everyone can recognize you. Hey I can build some really cool realistic/fantasy stuff.. Castles/houses/villages and more.. Id like to build too. Ok. Then please make a discord account and use the link to join. Wow, two of your posts are only 8 hours apart! How many features are left until the release? Hope this was the last post before realeasing. I can’t wait anymore! Why are we seeing new people every post…. oooow! Looks like SURVIVALCRAFT IS GAINING FAME AND POPULARITY! You are amazing Kaalus! Or maybe there are more people like me. It took a while for me to start commenting instead of just reading posts and comments( following since 2013). I only missed a couple of posts due to finals, and other stresses in my daily life. Also it was a fun troll to make others go on a witch hunt. Also my life does exist beyond making people feel stupid on here, though I admit it is a fun hobby. Could you imagine if all 10,000 people who downloaded this game from google play commented on here? there would be 40,000+ posts, and sadly most of them would still be only one word long, but still I’m sure at least a few hundred read these posts. Do I make an exception? Because I feel like I have played survivalcraft longer then anyone in this site. It would be nice if we could map buttons to functions in Survivalcraft, it might help with compatibility. For those of you who can’t afford a gamepad (or are like me and are too lazy to buy one) there are apps for Android phones that let you use your phone as a Bluetooth gamepad for an Android tablet or a PC that might be worth trying. Not sure about iOS but I’m sure there’s something out there. I can not wait to play this new version of you guys, do you think I’m going to come up with new items? Kaalus said that the double opposite layout for touch devices will work better with 10 inch tablets. So hope it will be available on all screens bigger than 6 inch. Yeah, that would be great! (And somewhat uncomfortable, but who cares?) Lol probably everyone smart! Will this support dualshock 4/PS4 controllers? Asking because the PS4 controller has bluetooth that you can connect your phone (Android, unsure avout iOS) to and use as a gamepad, but I am unsure as to how well it works. Wait, anyone here tried using PS3/PS4 controllers wirelessly on a computer/PC? I want to know, but having them wired shouldn’t be a problem but I really need to know if anyone here ever know it works? I have PS3 and PS4 controllers I want to try to use on my pc so anyone know? Also how about xbox 360/Xbox 1 controllers? I have an xbox 360 controller that works great, however it is built for pc. Hope your good sense will not fail this time! So 2 hours left for your prediciton to happen. A non-player character (NPC), sometimes known as a non-person character or non-playable character, in a game is any character that is not controlled by a player. In video games, this usually means a character controlled by the computer through artificial intelligence. used to comment on an action perceived as foolish or stupid, or a statement perceived as obvious. so ur an rugged and rude person ..just like your parents!! Did your parents ever ask you to runaway from home? Hey! Let’s not get here in a heated argument alright I’m old enough to guide myself you know I’m not a kid to be taught or what am I trying to say sumosobra kana tangina mo! Seems like your the rude one do you even know my parents to say that they are bad you should not judge a book by its cover it’s just go to show you don’t have manners pls kid stop it I don’t want to pick a fight with a kid like you I tried that once but I was the wrong thing to do and also I have no time for you’re childish opinions for christ’s sake! Remember patience is a virtue which chipcharp doesn’t have lol ROASTED!!! You forget: He doesn’t own Xbox. Good, I have an Xbox One and a Large 4K TV and an Xbox 360. This update Shall Be Majestic!! Also I’ve played Since Alpha. But yeah, So Cool. Thanks again Kaalus! Ab-so-lutely fabulous!!! Thank you Kaalus!!! Just what I needed for TV!!! I always had to use a smaller screen before this. maybe add Nintendo switch Gamepads. Can the game be played with multiple Xbox One controllers? Do you think you would be able to make it to where you can assign your own set up for the gamepads i tried using ps4 gamepad but the setup for it is weird.